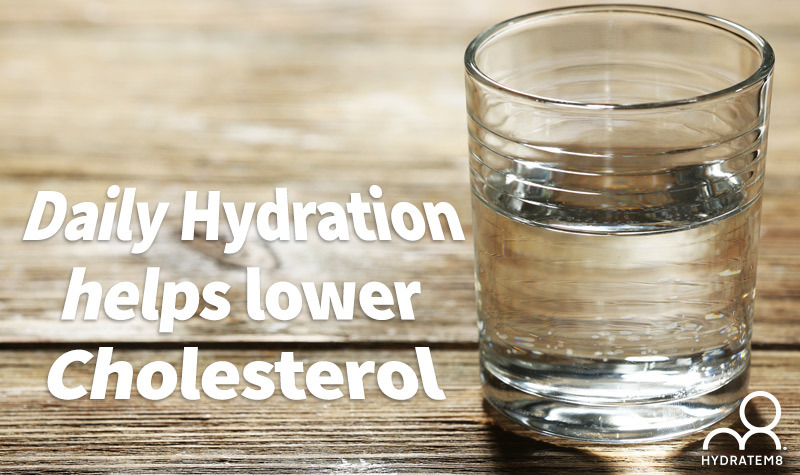 Who would believe that keeping hydration at an optimum level is one of the keys to lowering the bad cholesterol in your body? 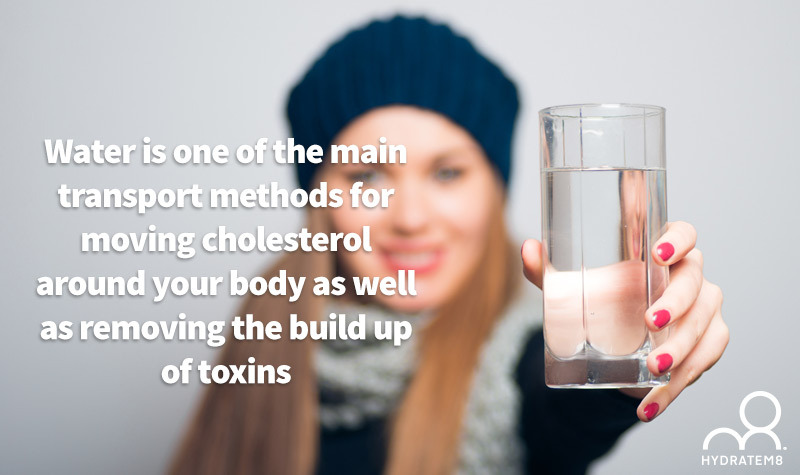 Of course, water on its own is not enough, but combined with a healthy, balanced diet, you are on the road to preventing life-threatening conditions – high cholesterol levels would certainly have an impact on your body. 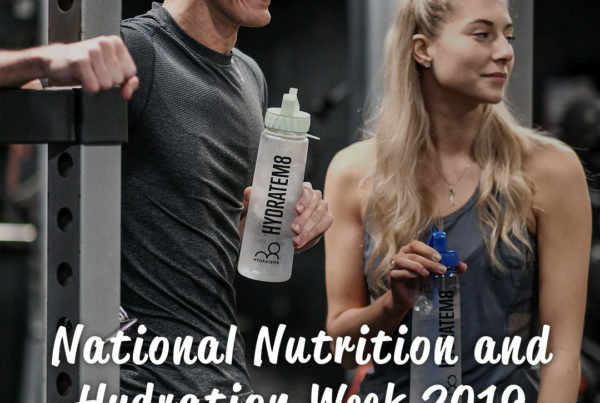 As our bodies are made up of 70% water, it is imperative to hydrate correctly every single day – and we do mean good, clean water, as well as water gleaned from fruits and vegetables. If you find it difficult to just drink plain water (recommended level is 8 glasses per day), or find it boring, consider fruit and vegetable infusions, or drinks such as coconut water. A routine series of blood tests will reveal high or potentially dangerous cholesterol levels – you can’t see it, or feel it, but it is omnipresent in your body. Not all cholesterol is dangerous. Cholesterol is a waxy like substance found in the body’s cells and takes on two different forms – good and bad. We need good cholesterol in our bodies to manufacture Vitamin D and essential hormones, which aid towards the digestion of foods. Cholesterol is naturally made in the body, but certain foods do contain it as well. Sounds helpful? That depends on what type you have the most of in your body. They are split into two – LDL’s (low density lipoproteins) and HDL (high density lipoproteins). Lipoproteins are the ‘transport mechanism’ for the cholesterol to travel through the body – having good even levels of both are important for body function. 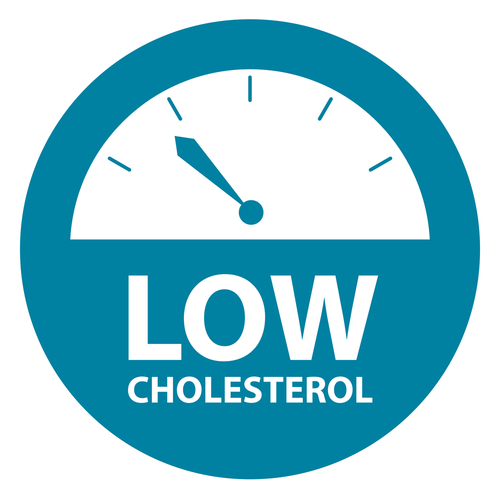 High LDL (the bad cholesterol) will cause a build up inside the arteries, whereas high HDL (the good cholesterol) aids in transporting the cholesterol from all parts of the body, back to the liver to be removed. Guess what? Water is one of the main transport methods for moving cholesterol around your body as well as removing the build up of toxins. Keep hydrated and reap the benefits. What is the role play of water? Drinking plenty of water will dilute the acidity which is caused by cholesterol in the body. Minerals contained within the water will aid in hydrating the cells of the walls of the arteries, which then become better able to heal the acidity that would eventually have caused damage. As age creeps up, so does the thickening of artery walls caused by high cholesterol, and you become more prone to heart attacks. 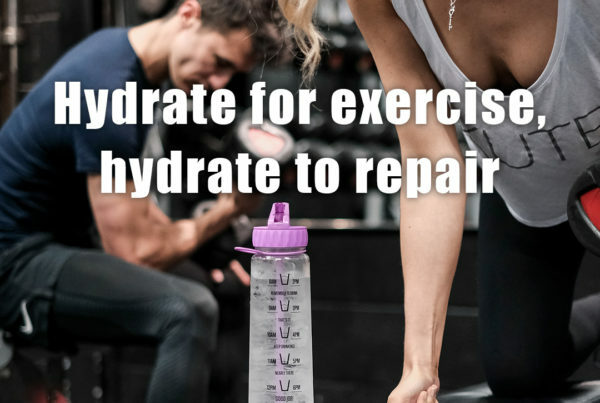 Water can thin the blood, making it the natural way to help pump the blood more effectively around your system and increase your metabolic rate, but only if you stay fully hydrated. It is important to remember that your ‘thirst response’ does not kick-in until you are already dehydrated – so don’t wait to get to that level, drink water as a regular habit throughout the day. 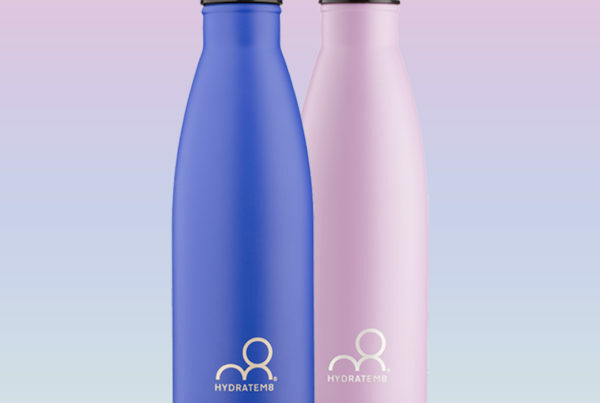 Use our HydrateM8 motivational water bottles to help you pace yourself with water intake all day long, whether at work or play.